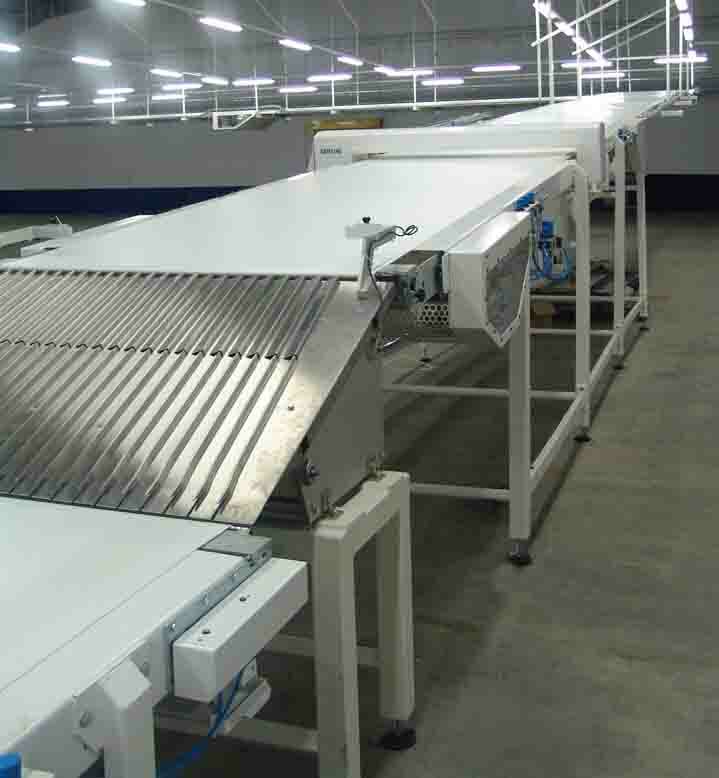 Cooling Conveyors and Table Pack Conveyors with different length and wide sizes. 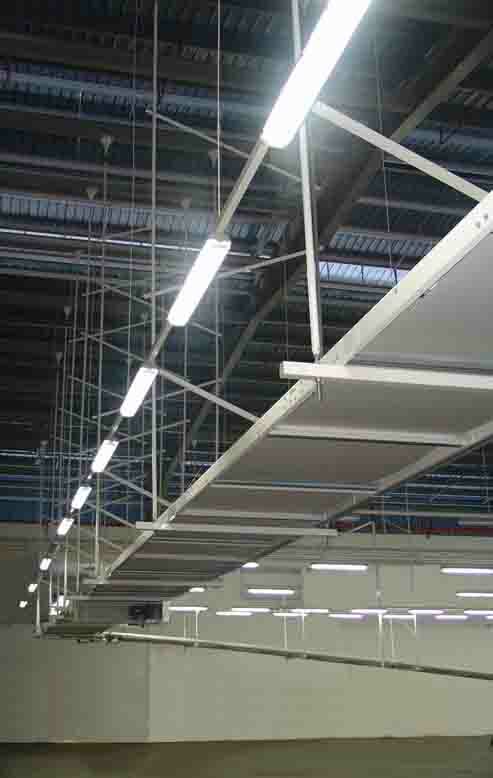 From the narrow size as 600mm to the maximum standard size of 1800mm. 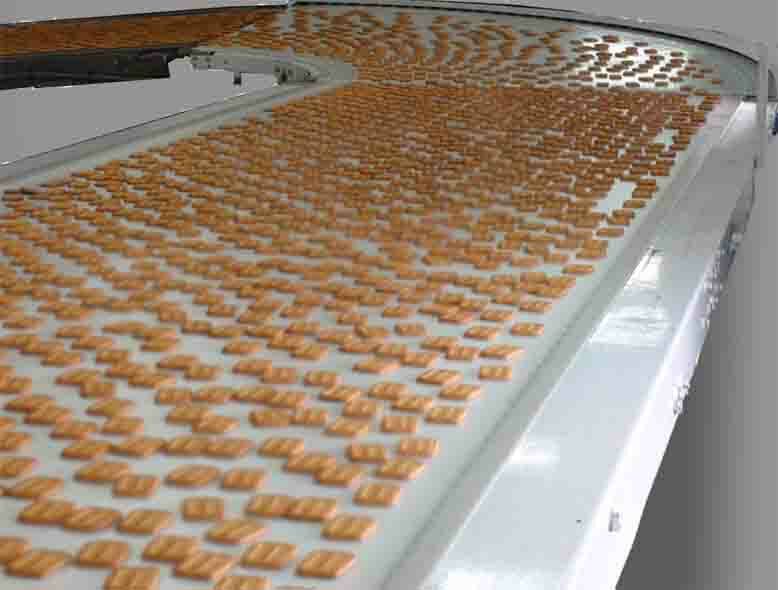 Wider conveyors can be also provided as special construction. The end rollers can be made with small diameters in order to transfer, even small products, in a perfect way. 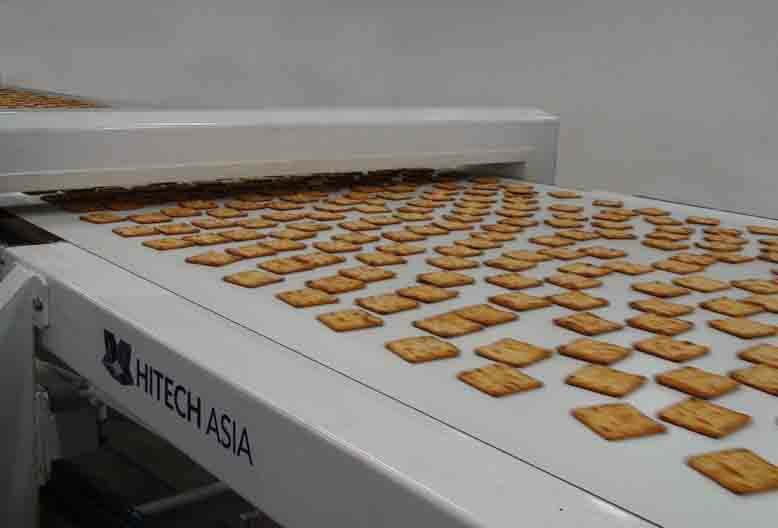 Buffer belts conveyors with large capacity can be inserted before the Packaging Line.